Are you always overcooking your vegetables? Or not sure how long to steam your asparagus? 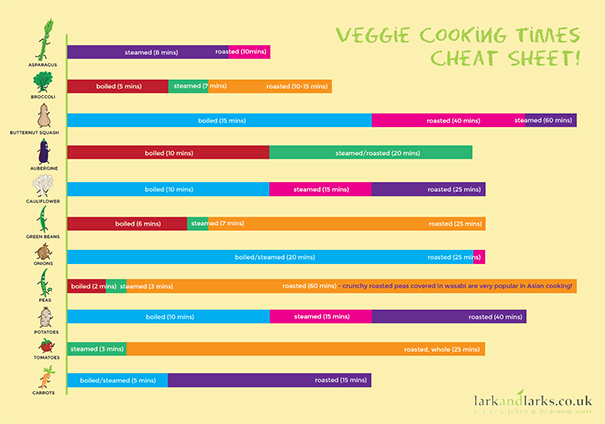 Our useful veggie cooking times cheat sheet will help you cook the perfect veggies, every time! Next Article Technology in the kitchen – What will be in the kitchen of the future? I have included this in my Offbeat Holidays – June Bucket List post. National Eat Your Veggies Day is June 17. Thanks for sharing!